I love this quote form Pooh! The scary thing is, I think we all have done this at one time or another. 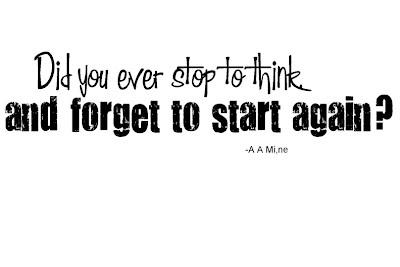 Lovin' these AA Milne quotes...wonderful. Thank you. You have so many wonderful things! If your blog was a store, my family would have to call me to come home!